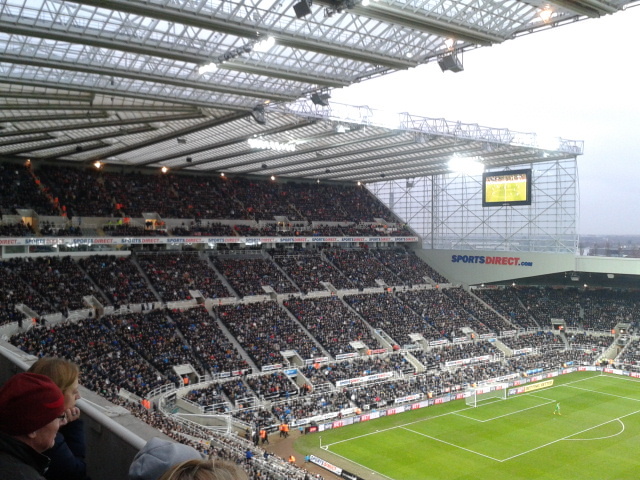 The 3,200 'Yorkies' must have thought it waz a cup final az they packed the away end with 3,200 followers! Scythin' tackles then went in from them az they battled away and every rare corner they got waz greeted az though they scored the winnin' goal! We just couldn't break them doon and then in the 38th minute a scary moment for us. 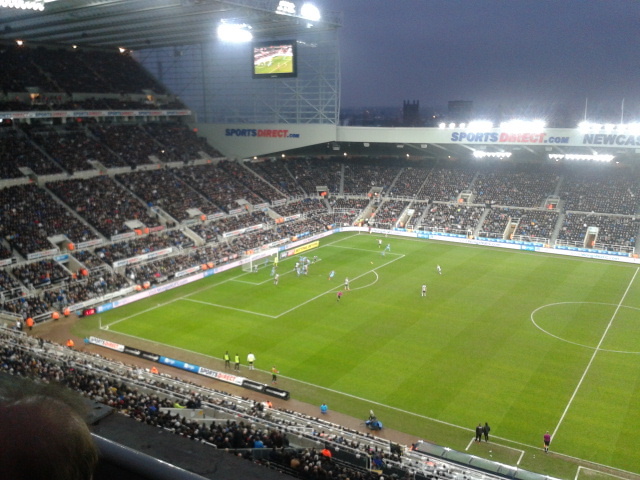 Karl Darlow went to collect them baall on the edge of the box at The Leazes End but fumbled and lost the baall. A Rothaaham forward quickly got to the baall and centred to the middle az Darlow scrambled to get back to hiz goal. A shot came in which looked certain to end up in the back of the net, but wor goalie somehow managed to get back and parry the baall away to save wor bacon!---a brilliant save to make up for hiz misstayk! And then deep into injury time 'we' made the breakthrough when a Yedlin cross foond Daryl Murphy and he fired left footed across the box to send us in 1-0 up at half time @ The Gallowgate End. The 2nd half waz much easier for us az we pounded the Leazes goal and we doubled wor lead with just 4 minutes gone when Matt Richie fired in from the 6 yard box! It waz aall 'one way traffic' and the 3rd goal came 10 mins later when Perez got in on the act with a goal from close range! 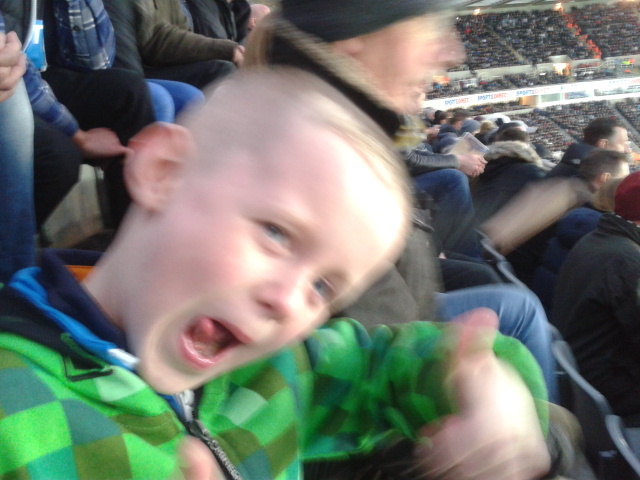 JAMIE CELEBRATES WOR 3rd GOAL! It waz a case of 'how many can we get' now and the 4th and final goal came in the 80th minute when a fantastic through baall from Jonjo Shelvey foond Matt Richie and he raced away towards the goal and placed hiz left foot shot with deadly accuracy to finish off poor Rothaaham. Summary: NUFC are now 9 points clear of 3rd placed 'uddersfield and leapfrog Brighton once again to reclaim top spot!----while the team from the 'New York Stadium' find themselz 9 points adrift of safety in bottom spot! Attendance: 52, 208 (against ROTHAAHAM?) (3,200 'New Yorkers'!) 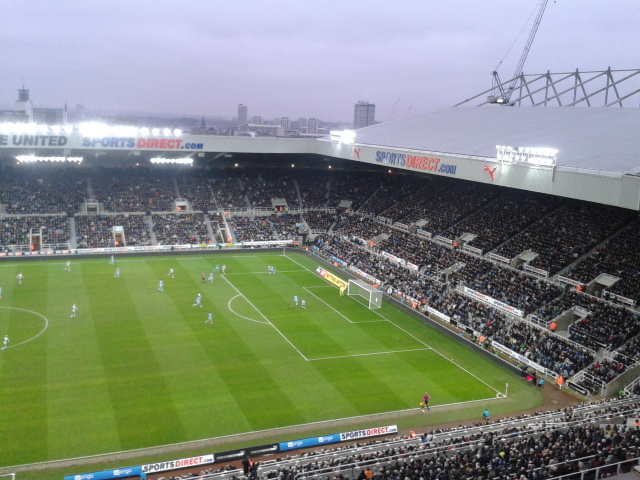 The crowd waz just 20 shy of wor highest of the season--v Forest! 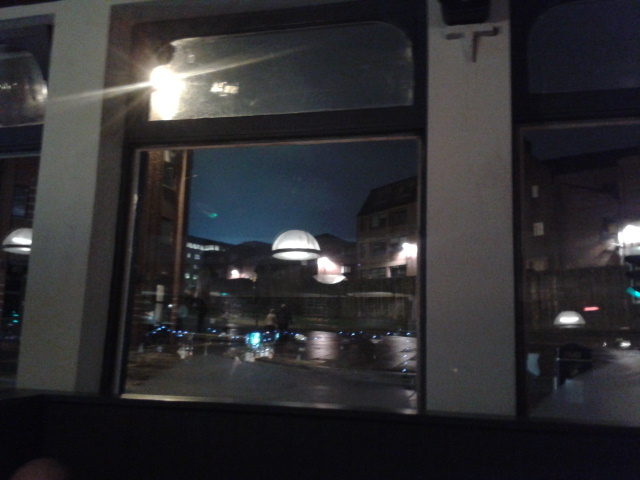 GLOW OF THE FLOODLIGHTS FROM TILLY'S BAR! "THE GEORDIE TIMES IZ BACK!!!!!!!" 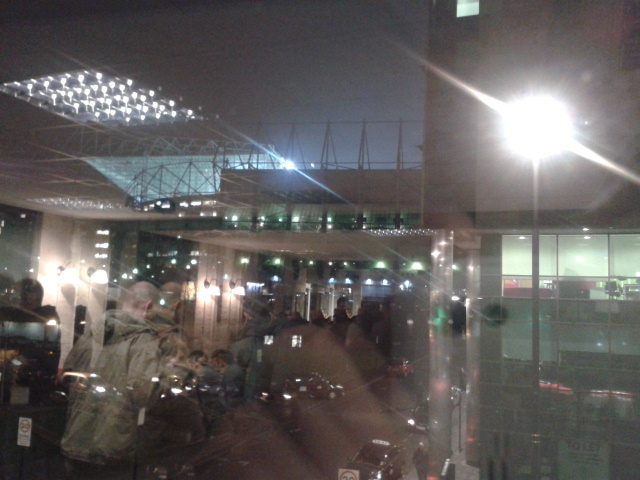 JOYOUS NEWS FOR THE NUFC GROUNDHOPPERS! **** IF ? "HAPPY NEW YEAR TO AALL WOR NEW REEDERS!"